Climate change is projected to cause earlier snowmelt, with potentially serious consequences for terrestrial and aquatic ecosystems and for municipal and agricultural water supplies. 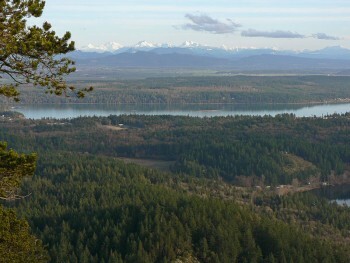 However, if forests can be managed to retain snow longer, some of these environmental and financial impacts may be mitigated.Recent results from our research team demonstrate that in areas with relatively warm winters, strategically-cut forest gaps could offset climatic warming by increasing snow retention on the landscape and delaying runoff. However, in areas with colder winters, the opposite is true, as snow lasts longer under the forest canopy. 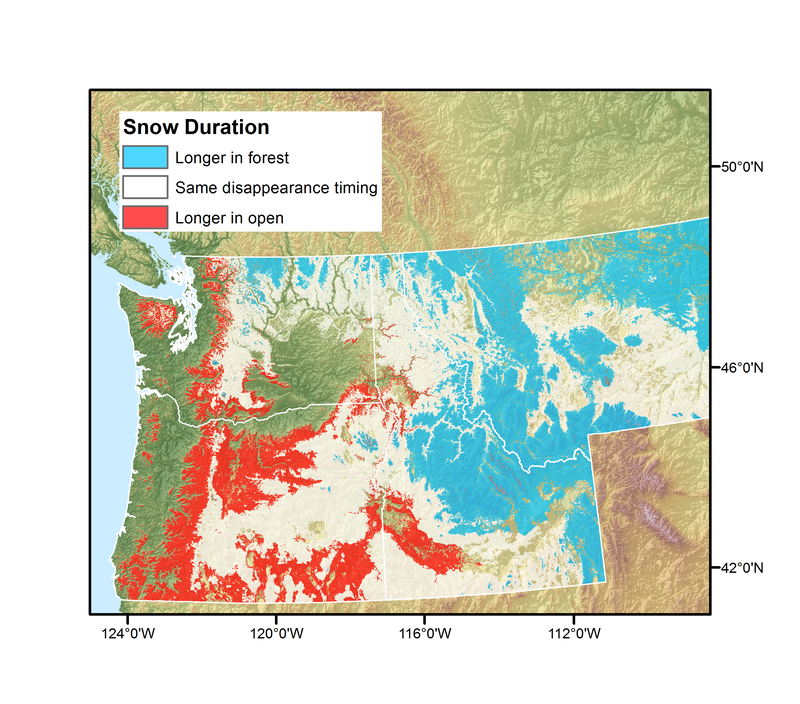 We will map these climate-forest snow interactions across the Pacific Northwest, predicting how forest change is likely to affect snow duration in different locations and testing those predictions against careful observations from our field sites and a network of citizen scientists. Working with regional forest and water managers, we will identify strategies for applying these findings to decision-making, linking climate-forest-snow interactions to ecohydrologic conditions important to management. Results from this project will help managers to act strategically to maximize snow retention (protecting forests in some areas while opening gaps in others), providing more water later in the season for hydropower, agriculture, and fish flows. Figure 1. Base-case prediction of where snow lasts at least one week longer in forests vs. openings, estimated from mean winter temperature. More information on the project is available on the Mountain Hydrology Research project page.